Happy Sunday to you! Today around the #SundaySupper we had to bring soup to the table. I was kind of torn on what kind of soup to make. I make soup all of the time but my brain went dead when I had to come up with one. I debated about a Chipotle Black Bean or Butternut Squash Soup, but I decided to step out of my comfort zone and try something I have never made before which is Lobster Bisque. Since I only had two lobster tails, this recipe makes two servings. Perfect for a romantic evening. This soup makes a fabulous appetizer or you can have it alone with some crusty bread and a salad. Yum! Were not to fancy in my house, so we had it with pretzel bread. The soup in general takes about 30 minutes to make, which I don’t think is to bad and it’s pretty simple too!! Love that! 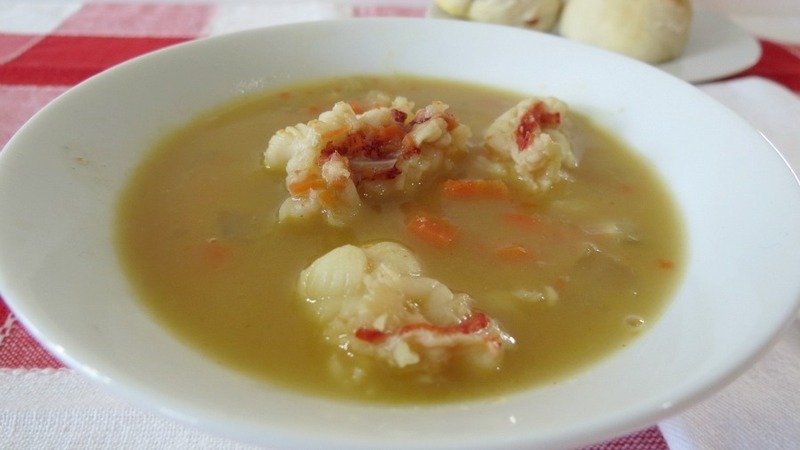 A healthy, creamy soup made with fresh lobster tails. In a large pot add butter, once melted, add carrots, onions and celery, cook until slightly softened, stirring constantly for about 5 minutes. Add chicken stock, creole seasoning and worcestershire sauce to pot and cook until vegetables are cooked through, about 10 minutes. In a small bowl add cornstarch and water; mix until smooth and stir into soup. Add lobster and cook until lobster is firm and opaque in color, about 7 minutes. Just before serving, whisk in greek yogurt. I had fun with today recipe! I really felt like a chef making this wonderful soup! To me these kind of soups seem intimidating, but this one wasn’t! I am really happy with it! 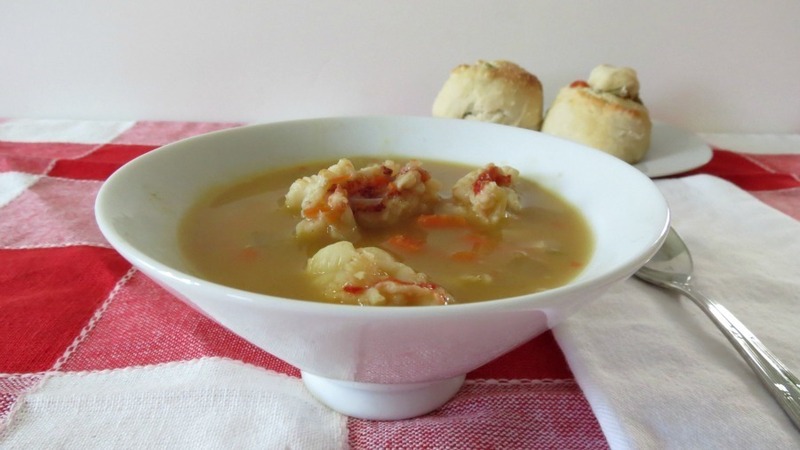 I can’t wait to see what other soup recipes that the group at #SundaySupper made! Be sure to check them out, I certainly will! After all, it’s soup and you know how much I love my soup! This was actually the first time i ever cooked lobster. I think it can seem intimidating. I was shocked when I saw the lobster at TJ’s. I haven’t checked this past week, but I hope they keep it in stick. It’s in the freezer isle. Your to funny!! I wish I had more lobster so I could have too!! I can practically taste this soup. I adore lobster any way it comes, and your soup is generous with lobster! So comforting and savory looking, it’s on my “Must Make List.” Kudos! I like that you used Greek Yogurt! Yum! This soup is so rich and sophisticated, definitely one to share. Gorgeous! 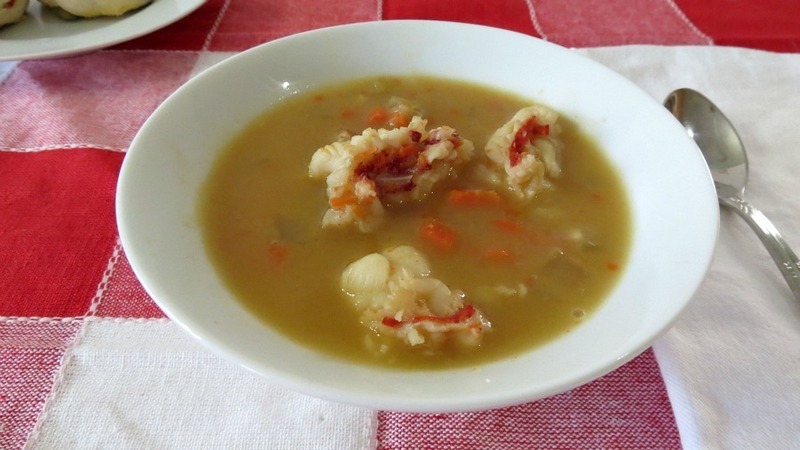 I have never made lobster bisque, what a great looking recipe! I had it on a cruise once and loved it, but it has been too long since I have tried it again. Have a great Sunday!! Hi Kristi! This was actually the first time i ever had lobster bisque and I was missing out. It so simple and so flavorful. I’m hoping TJ’s will still have lobster in stock! wait, TJ’s has lobster? Hubby doesn’t eat fish, so I’m pretty out of touch with the fish offerings there now. But this sounds wonderful! Lobster bisque always reminds me of the “yada yada” episode of Seinfeld … you know, where Jerry thinks Elaine yada yada’s over the best part of her date, and she says, no, I mentioned the bisque! I understand yah! My Husband only eats shrimp and fish sticks! Get this, he’s a fisherman! lol Oh my gosh, that is such a funny episode of Seinfeld!! I miss that show! The next time I find lobster on sale I am totally going to try out your recipe. Ahhh thanks, let me know how it turns out! I don’t eat fish but I bet my husband would love this!! You make it sound easy too! Thanks for sharing. Thanks Tammie! It is super easy to make! You absolutely did a great job – fabulous idea to use up your lobster! One of my absolute favorites and look at those big yummy pieces of lobster. I love it!! 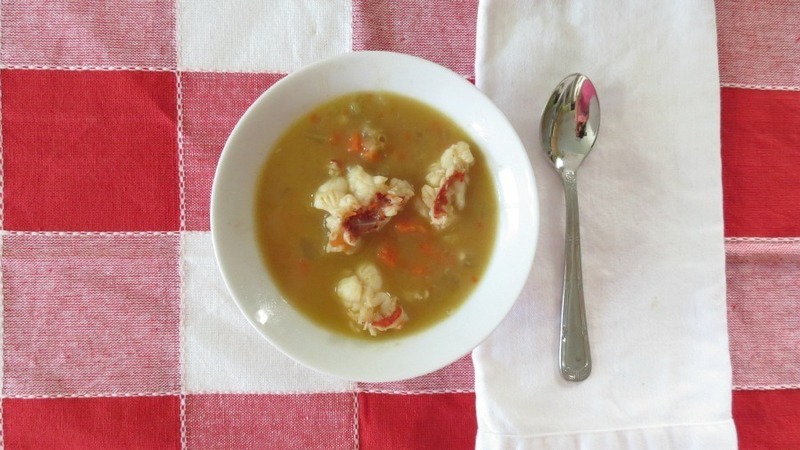 I love anything with lobster in it, and a bisque is such a great way to enjoy it! I must try this. It looks good! I’ve never made lobster bisque either, but have always wanted to. Love that it uses Greek yogurt! This looks tasty! Haven’t had lobster in a soup before! Looks good!! Wow, what a delicious indulgence! Those big chunks of lobster look amazing! What a beautiful, classic soup. Made me miss my days in New England where you find this dish on a lot of restaurant menus. Now I’ll have to try it at home! Love the giant chunks of lobster! I love lobster, but I’ve never tried a lobster bisque. This looks so good! The only way I care for lobster is in bisque. Your bisque looks so much better than the heavy cream versions I’ve had before. Some are so thick and rich they are hard to eat, especially as a first course. Not yours and it would be a fabulous first course. Your lobster bisque looks awesome! You had me at lobster…. YUM! oh wow!! I love this!! so yummy and elegant! seriously looks so delicious! This was the first time I ever had it and i love it, it’s a treat to have.